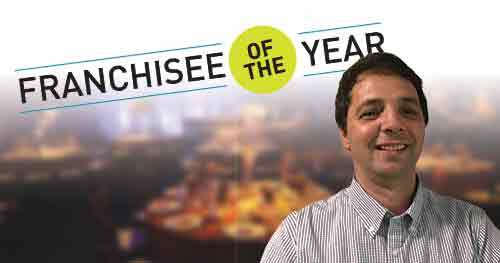 The International Franchise Association’s Franchise Action Network Annual Meeting including the Franchisee of the Year banquet took place September 13-14 at the JW Marriott in the nation’s capital. The two-day event is an integration of the IFA’s grassroots advocacy program, the Franchise Action Network, with their annual fly-in, formerly known as the Public Affairs Conference. Jani-King was one of many franchisors who nominated a Franchisee of the Year to be recognized at the banquet on the evening of September 13. Proudly representing Jani-King as this year’s winner was Ilirjad “Eli” Ollomani, the largest unit franchisee in the Philadelphia region. Mr. Ollomani purchased his franchise in April 2005 and oversees the cleaning of several key accounts including multiple charter schools and two Temple University dining halls. Mr. Ollomani is well respected by his customers, several of which he has serviced for 10 years.